Pet Gotcha Day is when you celebrate the day you adopted your pet. Often pets' birthdays are unknown, so celebrating the Pet Gotcha Day is a nice way to commemorate the moment every year. Pet Gotcha Day!TM exists to increase pet adoptions and reduce the incidence of euthanasia nationwide through empowering animal welfare organizations with revolutionary 360-degree video technology that will engage, delight & motivate potential adopters as they watch immersive videos of adoptable pets. The use of 360-degree video technology will bring adoptable pets to life for adopters, draw attention to pets in large, small & rural areas of the country and make the pet search process more engaging vs. looking at pictures. 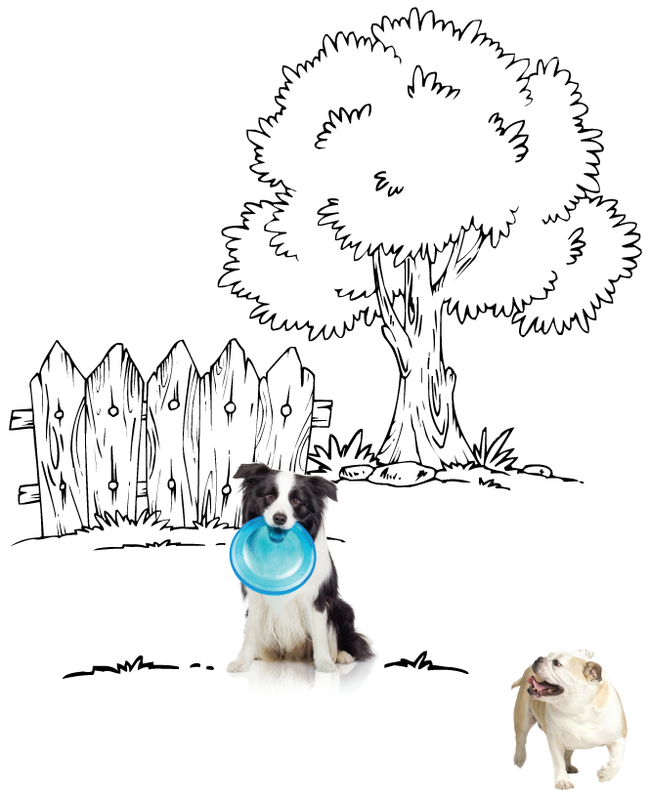 The word GOTCHA stands for Growing Ownership Through Connecting Humans and AnimalsTM. The relationship between humans and animals creates mutual happiness. petgotchaday.com offers a fully searchable database containing 360-degree videos of available pets. We partner with shelters and rescues across the nation to introduce you to adoptable dogs, cats and other hairy & scaly pets. Once you visit petgotchaday.com, sit back with or without the use of a virtual reality viewer* and enjoy getting to know the personality of adoptable pets. Shelters/rescues provide detailed information about each pet, which can be found within each pet profile. 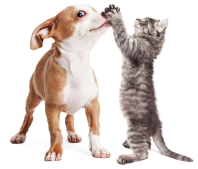 Once you find the pet that is you, visit or contact the hosting shelter. Then adopt! Celebrate your own Pet Gotcha Day!TM with your new best friend. * For optimal viewing, we recommend the use of a virtual reality viewer. Erica Bishaf lives in Chicago, Illinois with her two dogs, Einstein & Ashley (the founding puppies). 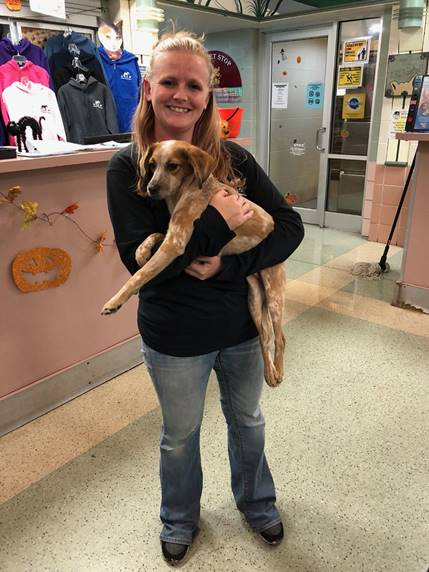 She has been an active volunteer at various shelters throughout the Chicagoland area since 2002. On April 15, 2013, I planned to visit Chicago’s Anti-Cruelty Society to help a friend find a dog. Prior to visiting, I perused the pet profiles and saw face after face of adoptable pets. Although I of course wanted to adopt every single one, none stood out to me as they were just faces. I knew nothing about their demeanor, personality or size. 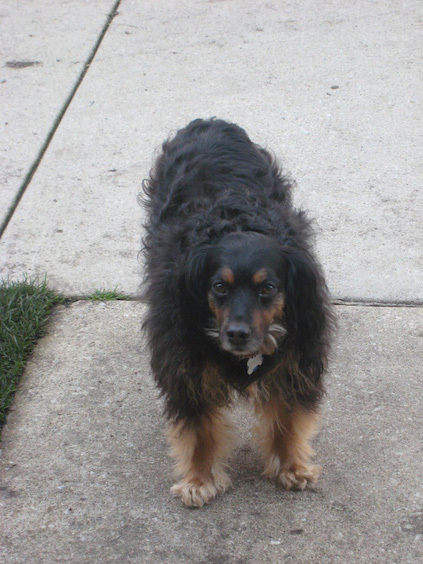 When I walked into The Anti-Cruelty Society, I immediately spotted the black & tan face that I recalled from my internet browsing and learned that the picture belonged to a spaniel mix named Sushi. As you can guess, I fell in love, adopted him and changed his name to Einstein. My friend is now Uncle Ed to Einstein and he ended up adopting another wonderful dog. Two lives were saved that day! Einstein’s story struck me when I heard it. He was originally in a Tennessee shelter where he was scheduled to be euthanized. A transporter saw him and brought him up to Chicago where he could have a chance to thrive. The Anti-Cruelty Society had him on the adoption floor and within 24 hours he joined my family. He is an amazing dog - smart! playful! kind to children and other dogs! handsome! It shocked me that he was a breath away from his life ending and I knew that I wanted to build something to draw attention to underserved adoptable pets. Pet Gotcha Day!TM was born out of this necessity. Through engaging and immersive 360-degree videos, adopters can get to know adoptable pets while making their decision rather than flipping through still images that don’t speak to the qualities that make each and every pet special. 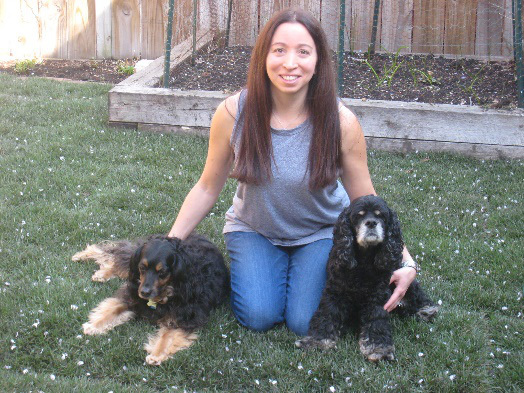 Crystal Broccardo lives in Crestwood, IL with her dogs, frogs & fish as well as a lucky foster pet. Her heart and life are dedicated to animals. They have been a part of her life since she was a very little girl. She was always bringing home baby bunnies or birds - any animal in need and has volunteered and worked in animal welfare for the past 20 years. Once you become a forever home to an adoptable pet, please send us a note and a family picture. We will showcase as many family pictures as we can. Pictures and stories can be sent to erica@petgotchaday.com. On April 15, 2013, I planned to visit Chicago's Anti-Cruelty Society to help a friend find a dog. Prior to visiting, I perused the pet profiles and saw face after face of adoptable pets. Although I of course wanted to adopt every single one, none stood out to me as they were just faces. I knew nothing about their make up, personality (or dogality) or size. Einstein's story struck me when I heard it. He was originally in a Tennessee shelter where he was scheduled to be euthanized. 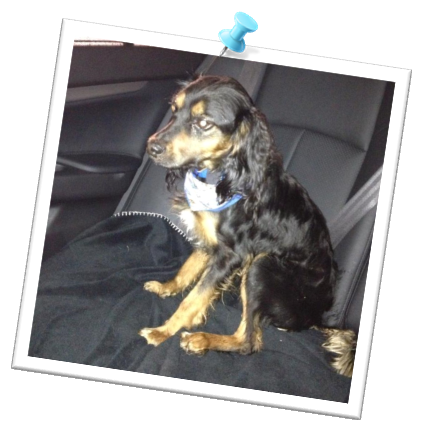 A transporter saw him and brought him up to Chicago where he could have a chance to thrive. The Anti-Cruelty Society had him on the adoption floor and within 24 hours he joined my family. He is an amazing dog. Smart! Playful! Kind to children and other dogs! Handsome! It shocked me that he was a breath away from his life ending and I knew that I wanted to build something to draw attention to underserved adoptable pets. Pet Gotcha Day!TM was born out of this necessity. Through engaging and immersive 360-degree videos, adopters can get to know adoptable pets while making their decision rather than flipping through still images that don't speak to the qualities that make each and every pet special. I hope that you watch. love.